This is Lesson 20 in a series of step by step tutorials on How to Make Pop Ups. This pop up card mechanism pops up when your card is opened flat, 180°. 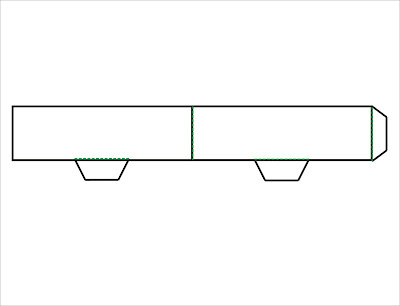 Imagine an open rectangular box (see Lesson 18) with the corners left uncreased. That's a boat! 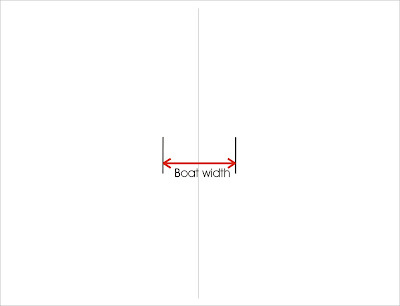 Determine how long and tall you want your boat to be. When you glue the boat to the card you will have to decide how wide you want it to be when the card is open. For the sake of comparison, I'm have modified the template for the Open Top Rectangular Box in Lesson 18. I eliminated the corner folds, and trimmed and moved the bottom tabs. Template is designed to print on an 8.5" x 11" piece of paper. Print template or cut your own strip of paper to form boat. Strip should be cut to height, and double the length of the side, plus a little bit for the end tab. Remember to add bottom tabs, centered on each side. Fold boat along center line and glue into a circle using end tab. 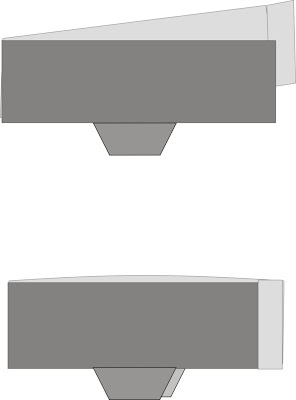 Decide how wide you want your boat to be when the card is open. Let's say, 2". Divide this amount in half. Measure out from the center fold of your card base the "half" amount, in this example that would be 1". At the measured point lightly draw a guideline, parallel to the card fold line. Repeat on the other side of the card center fold. 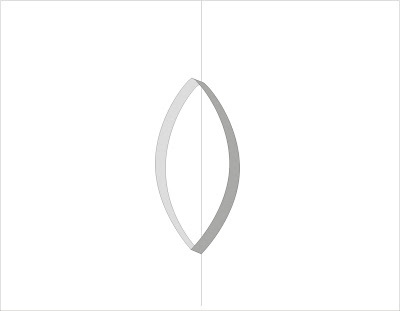 Thus, in this example you would have two lines, each 1" from the center fold. The distance between your guidelines is the width of the boat: 2" in this example. Glue tabs to base card, aligning tab fold with guidlines. You can glue your tabs to the inside, the outside, or cut a slit in the card and glue them through. (See Lesson 5). A narrow boat resembles a ship, or an eye. A wider boat becomes almost circular. Add a top and a circular boat is a wonderful cake!